HARLEM — It was less than a year ago that all-out protests by parents, teachers, local politicians and celebrities kept the Department of Education from closing Wadleigh Secondary School for the Performing Arts' middle school. The groups worried that the proposed phase out of Wadleigh middle school, along with the plan to move middle school grades of the Eva Moskowitz-run charter school Harlem Success Academy into the building on West 114th Street and Frederick Douglass Boulevard, meant the secondary school would be pushed out of the entire building. Now, those groups are again fearful for the fate of Wadleigh. The DOE on Tuesday will review a charter revision proposal to let Success Academy Charter School – Harlem 1, the flagship of Moskowitz's Success Academy schools, expand to high school grades by the 2014-2015 school year. "This doesn't bode well for the future of this building," said Paul McIntosh, a librarian at Wadleigh who has led efforts to keep the school from closing. "This is just a pretext to make a move on the entire building." Lisa Pressley, 49, a Board of Elections employee who has a son in the 12th grade at Wadleigh and a daughter in the 10th grade, said the school has been overcrowded since Success Academy Charter School was granted permission to move into the fifth floor at Wadleigh this school year. "My two children at the school complain that it's so crowded in the hallways," she said. "I was there and it was frightening to see because if there was a fire there would be [a] hard time getting out." Under the proposed revision, Success Academy Charter School – Harlem 1, which already houses 622 students in grades K-4 at 34 West 118th Street and 177 students in grades 5-7 at Wadleigh, would be allowed to expand to serve a total of 919 students in grades K-9. The school is a Blue Ribbon award-winning school. 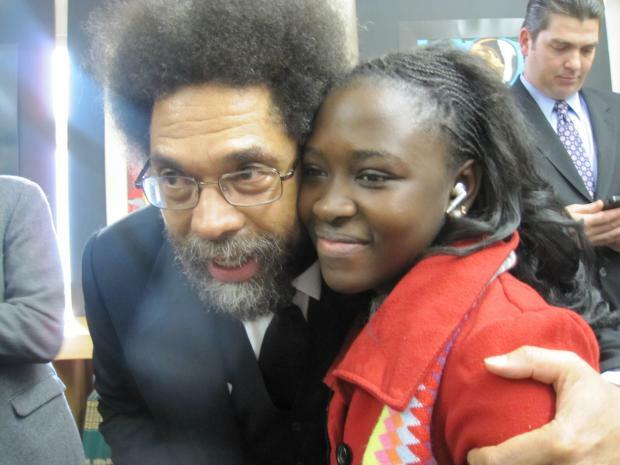 "Our oldest kids in Harlem are now in 7th grade," said Kerri Lyon, a Success spokeswoman. "While we might be able to place our first two classes in other high schools, our classes quickly become too big to ensure we can place every child in a high quality program. "Our goal has always been college graduation," she added, "and we think this will put our students on the right track towards fulfilling that mission." Success Academy officials said it is unclear where the expanded grades would be housed. "We do not currently have a proposed location for a 9th grade," said Connie Pankratz, a spokeswoman for the DOE. But Noah Gotbaum, a member of Community Education Council 3, said Wadleigh seems to be the most likely spot. "Where else is that high school going to go?" Gotbaum asked. "Why are they increasing the school without having a location plan?" Gotbaum also wondered why Success Academy is moving for a charter revision just a year after the charter for the school was renewed. "Why are they doing this in such an opaque manner?" he asked. He suspected the move was an effort to grandfather in as many changes as possible before Mayor Michael Bloomberg leaves office. Leading mayoral candidates running to replace Bloomberg have said they will think differently about school co-locations. Success Academy representatives said they wanted to build "internal capacity" before expanding the high school. 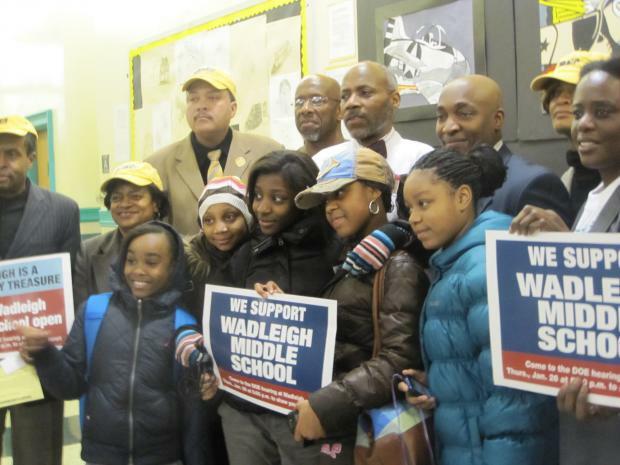 DOE officials last year said Wadleigh Middle School was not performing well. But, in reversing the decision to close it, Schools Chancellor Dennis Walcott said the school was poised for a quick turnaround because of its small enrollment. But it was clear that intense pressure from some of the city's most powerful politicians — including Rep. Charles Rangel, Assemblymen Keith Wright, State Senator Bill Perkins, Manhattan Borough President Scott Stringer, Comptroller John Liu, Public Advocate Bill de Blasio and City Councilwoman Inez Dickens — had an impact. Dickens said Walcott contacted her after making the decision and said, "You won." But parents and teachers at Wadleigh said they never felt the school was completely out of the woods and this move gives them even greater reason for concern. "I figured we'd be hearing about something like this soon," Pressley said. "They promised they would give us a chance to improve and bring in more students. But we will fight all over again if we have to." The public hearing will be held starting at 6 p.m. tonight at 34 West 118th Street.